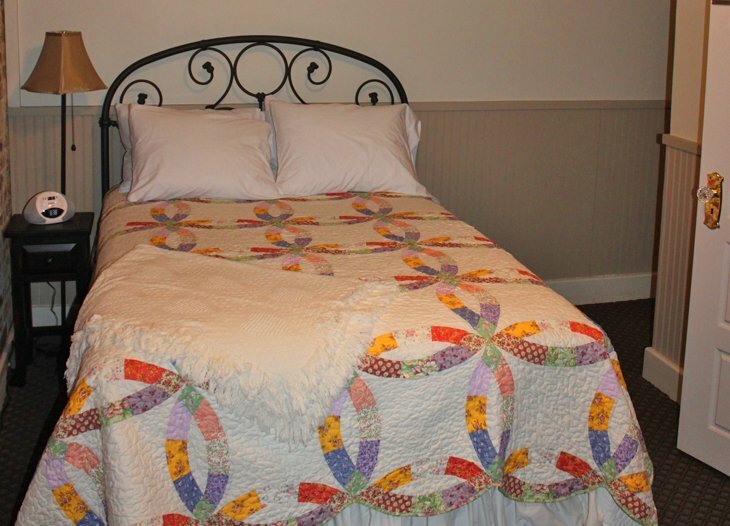 Mose Place is a one-bedroom suite with a full-size bed. 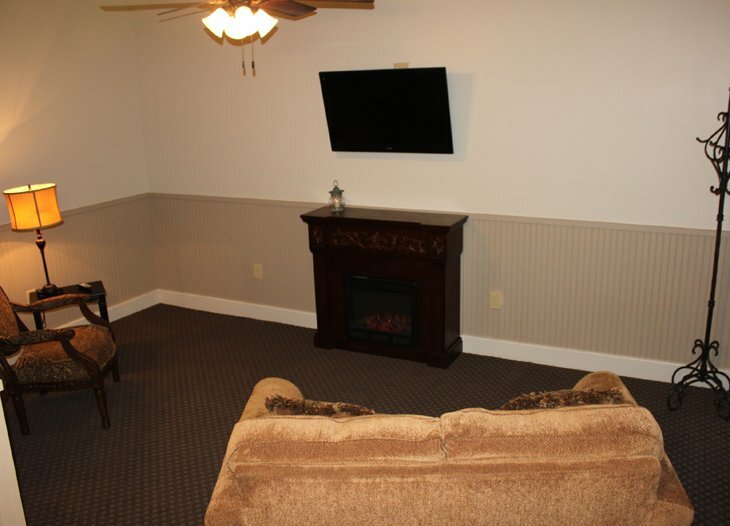 It has a comfortable sitting area with an electric fireplace. 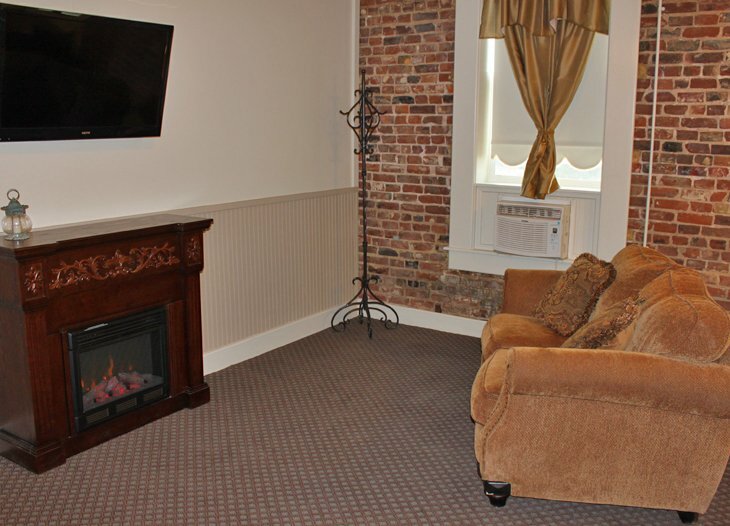 Each room has a flat screen TV. 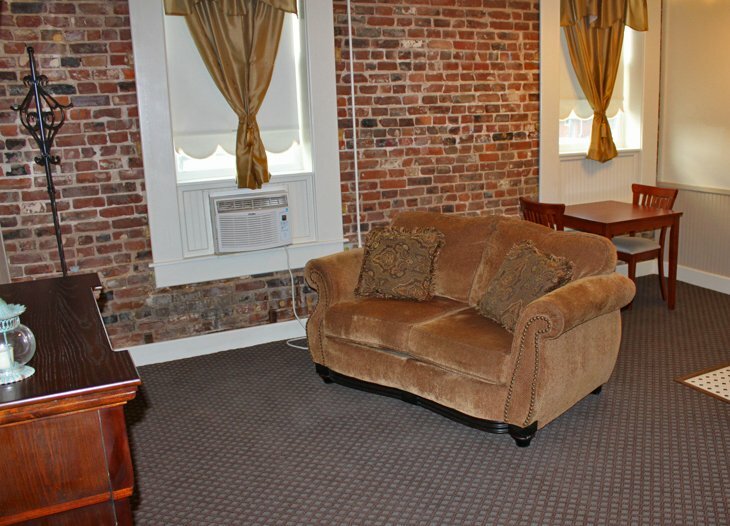 It offers a butler kitchen, (refrigerator, microwave, Keurig coffee brewer). 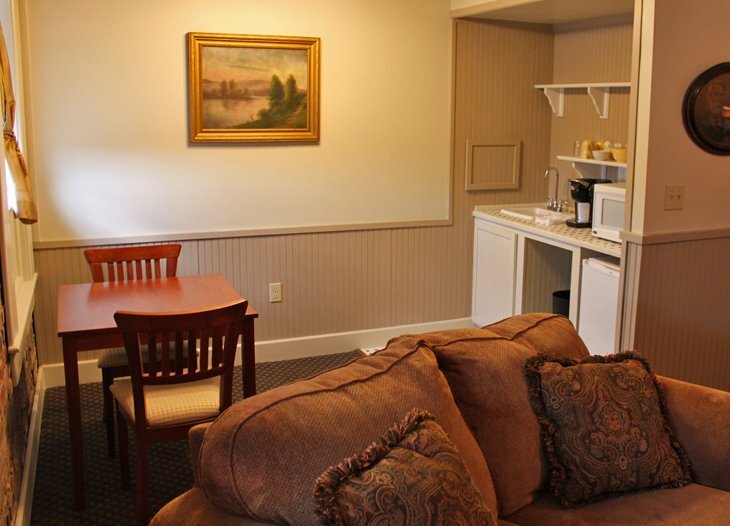 Coffee, tea and amenities are supplied. Bathroom has shower (no tub). It is upstairs (no elevator), stairs are split with a nice landing. The Cooper Pharmacy, also known as Mose Place, occupied the leftmost corner storefront of the Hotel Rhea, and has been there since it was built in 1904. In fact, this section of the Hotel Rhea is the only part still standing after a fire destroyed the remainder in 1914. Mose Cooper was Lizzie Cooper Rhea’s brother.